ADELAIDE'S home game against Geelong on Sunday has been abandoned in the wake of the death of Crows coach Phil Walsh, but the rest of round 14 will go ahead. The AFL has confirmed the Crows-Cats contest at Adelaide Oval will not be played following Walsh's tragic death on Friday morning. The teams will share two points each from the abandoned match – the same as for a draw. However, the remainder of the current round – which started with the Sydney Swans' 10-point win over Port Adelaide at the SCG on Thursday night – will be played as scheduled. A big crowd is expected at the MCG on Friday night for Collingwood's clash with Hawthorn, and a minute's silence will be held before the game as a mark of respect to Walsh. 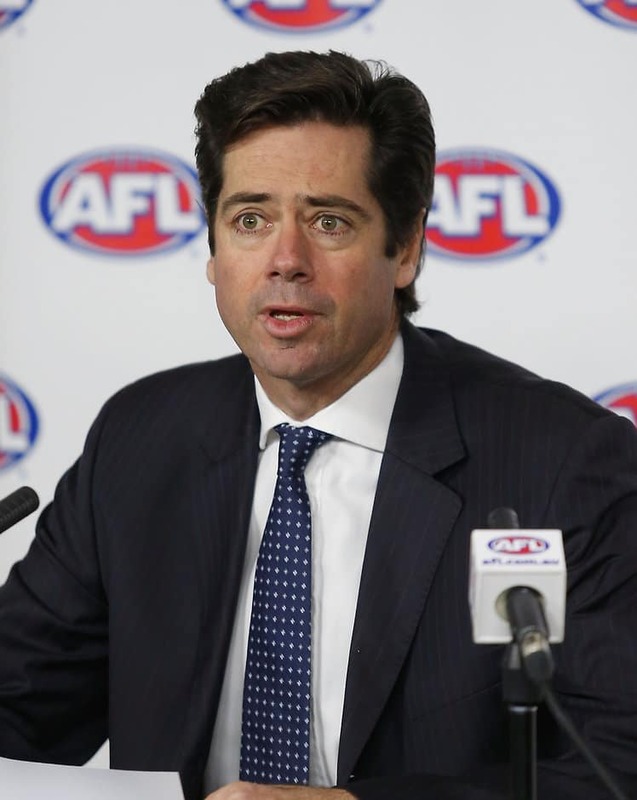 AFL CEO Gillon McLachlan announced the League's decision at a media conference on Friday afternoon. "Today, I have spoken with many people in the industry, briefed all our club CEOs and presidents and the AFL Commission. There have been discussions about the game on Sunday and even about the round," McLachlan said. "We have decided that the game on Sunday between Adelaide and Geelong will not go ahead. "This is a decision of the competition as a remark of respect to Phil Walsh. It is our decision, because while playing footy can be part of the grieving process, we are strongly of the few that it is not fair to ask the young men of the Adelaide Crows or the Geelong Cats to play in these circumstances. "This decision has the support of the clubs and the players' association. The premiership points will be split between the two clubs as per the AFL rules. "The remaining seven games will go ahead from tonight. We know that the usual fun and passion of our game will not be there. "We also know that our clubs, members and supporters will gather in the spirit of respectful mourning and in support of the family and friends of a great football man, who was loved by so many." McLachlan offered heartfelt sympathies to Walsh's friends and family, saying "our game is in mourning" for the 55-year-old. Walsh touched many on his football journey across seven clubs – including three as a player in his 122-game career – over 32 years in the game. "The sorrow and the stress felt today touches many in our industry because Phil Walsh gave such a lot to our game," McLachland said. "He was a man of boundless energy, enthusiasm and great intelligence. "He was part of the AFL family for 32 years and there are not many words of comfort today for those who feel his terrible loss in these most difficult of circumstances. "To his family, we can only say that your loved father and husband is in all our hearts and whatever support we can offer we will. "To the Adelaide Football Club, the AFL industry is with you in thoughts and in action today offering all the support we can." McLachlan said the AFL was aware the decision to cancel Sunday's game affected many people, including supporters who had planned to travel. "We are working closely with all of our partners on these issues and the AFL and club websites will keep members and supporters updated on arrangements," he said. "I want to finish by again offering the deepest sympathy to the Walsh family. The thoughts of the whole football family are with you today and in the difficult days ahead." Adelaide and Geelong welcomed the AFL's decision to cancel Sunday's clash. "We believe the AFL has made the right decision for the football community," Crows chairman Rob Chapman said. "The Geelong Football Club is supportive of the AFL's decision," acting Cats CEO Rosie King said. "This is a unique situation and the most important factor is the need for all those impacted by these tragic events to have the appropriate ability to mourn their loss. "Our thoughts remain with the Walsh family, and their friends, colleagues and the Adelaide Crows."